Shutters are used as a window or door dressing, often as a stylish alternative to curtains and blinds. The fully adjustable slats are easy to clean and offer excellent control of light, noise and temperature as well as allowing for a clear view or ensuring total privacy. Special PVC shutters are impervious to moisture, will not crack, split or warp and withstand extremes of hot, cold or damp weather. Hardwood shutters have become a highly fashionable window covering adding value to your home by enhancing the interior finishing of any room. However they serve various purposes and may be used in other areas too. 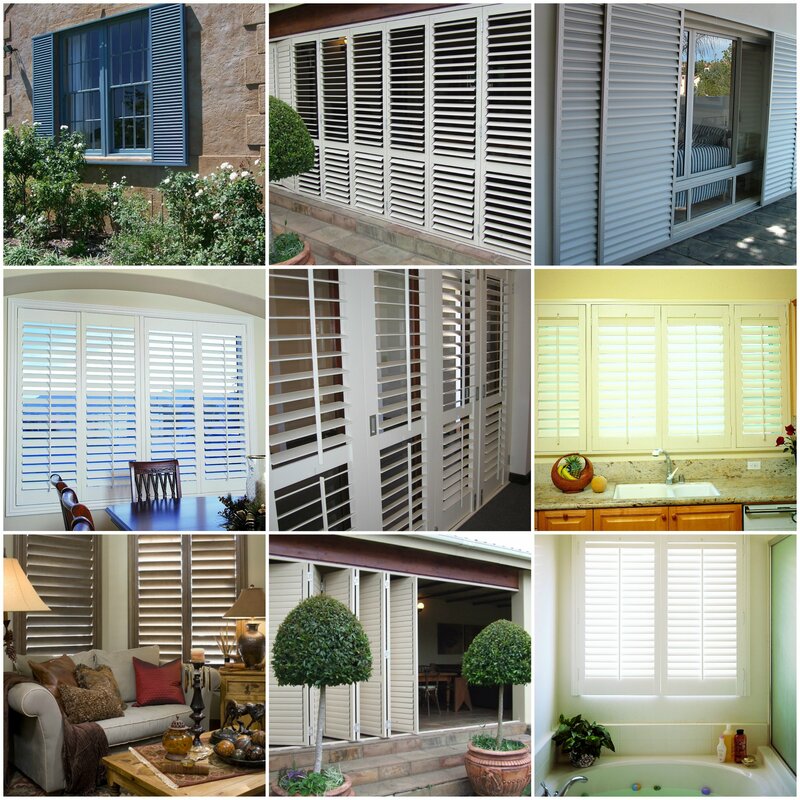 Today's modern and adaptable shutters can also be used as partitions or room dividers within the home or office. They are also ideal to use to enclose a patio to control light and privacy, or provide security. Our aluminium security shutters can be used internally or externally, with their primary function being security. Shutters for the living room, family room or even lounge are a perfect solution for providing privacy, adjustable light and a stylish alternative to curtains and blinds. Whatever the room you can choose any combination of our finishes and designs and styles can be chosen to create a bespoke look for your living areas. These modern and adaptable shutters can also be used as partitions or room dividers within the home. Available in wood, PVC and aluminium with a variety of tilt and locking mechanisms, shutters can be configured to hinge, bypass or to bi-fold and stack.